"Here's Every Shred of Yanik Silver's Information Marketing Knowledge Extracted and Distilled Down to a Comprehensive Step-by-Step Formula to Duplicate His 7-Figure 'Kitchen Table' Empire"
Discover How You Can Sneak Away with The Exact Same Secrets Revealed During Two Sold-Out $15,000.00/per person Workshops...all for a tiny fraction of a fraction of what others paid! 2 years ago Liz Sherwood had just given birth to her daughter and came to realize that in Texas there was no law that once you went away on maternity leave you were entitled to your same job back. She really wanted to stay home with her new daughter and basically HAD to create income. Liz decided she was going to do it online and came to me with a germ of an idea. We talked it over, brainstormed and honed it. And all our refinements paid off to the tune of $58,000.00 in just 30 hours of her product release. Now here's the best part -- this $58,000.00 was actually monthly recurring revenue until customers dropped out. Not bad for a youth pastor with no marketing experience and her very first info product. I have a soft spot in my heart for young entrepreneurs and this "kid", Nathan Morris, from North Carolina emails my office about his situation. He told me he'd read one of our introductory programs and was starting to make about $1000/month online from his college dorm room. He wanted to know if I would meet him for coffee. Typically I don't do that without charging a very significant consulting fee but this time I made an exception. Nathan drove up 12 hours for that cup of coffee but he walked away with a game plan to earn 6-figures from his tiny list of 2000-some people. Wait until you hear the niche he sells to -- it's so crazy and it could only work online. Nathan sells to enthusiasts who want to take the engine out a Honda Accord and move it to their Honda Civic to make it go faster! The best part about Nathan's story is his Mom accusing him of dealing drugs because he started making so much money selling information products after our meeting. Jerry Clark was already successful in his own right before we met. He was an in-demand speaker and trainer making millions selling from the stage. But that was the problem. He had to be on planes, living in hotels and traveling around the world to make that kind of income. And with the birth of his new son, Isaiah, he wanted to be home -- but he didn't want to reduce his income. Jerry applied just a few simple ideas for leveraging his expertise and turned them in a six-figure annual, recurring payday! And the best part is he's just getting started with his new lazy method for earning income with information products. Freedom to do pretty much whatever you want, almost anytime you want and let the Internet pay for it! It's this same kind of freedom you can achieve and I'm so sure of it I'll place $250.00 of my own money on the table as a kicker. (I'll explain more about this unprecedented guarantee in a moment). But before we get to that let me share with you my own story of how all this started. I stumbled onto all of this by accident back in January of 2000. That's when I woke up in the middle of the night with an idea to try online. I literally jumped out of bed and registered the domain name at three in the morning, much to the dismay of my wife, Missy. That first site (still making money hand over fist) is called Instant Sales Letters. Just last month it brought in $13,509.84 (and that's a slow Summer month). Combined, all my websites selling e-books, content and info products raked in $3.1 Million last year. Don't worry if you can't relate to that kind of number yet because I started off small just you might. My first site brought in $1,800.00 the first month and then $3,400.00 the 2nd month...and very quickly jumping to $9,400.00 in the 4th month. I have websites in all sorts of different subjects. From fitness to artistic techniques to houseplants and more. Even my wife sells a "thank you" letter product that started making her money within 1 week of putting it up. All of these are just additional, passive "online oil wells" because once you figure out the system it's like a "cookie cutter" and you can keep putting up more and more. Todd Brown was so excited by his change that he even sent me this homemade video of how much I've helped him by showing him the potential profits from information products. Reason #1: You have no competition. Everything you sell is copyright protected so you can't be "knocked off". Reason #2: Incredibly huge profit margins. People aren't paying for bits and bytes, a bunch of CDs or paper & ink they are paying you for the value of the information. In fact, with a digitally delivered or �downloadable' product your profit margin is nearly 100%. (Compare that to any giant online retailer who can only compete on price and eeks out a slim single digit profit margin.) 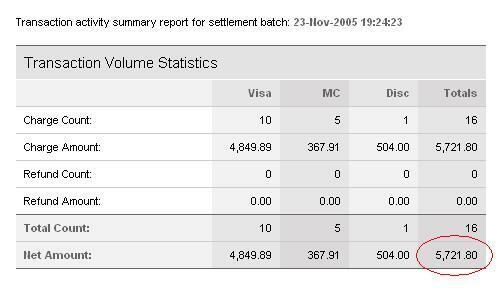 Or with a physical information product you can easily 10-to-1 margins or more. Reason #3: You can work from anywhere you wish. It doesn't matter if you're playing beach volleyball in Aruba or skiing in the Rockies. You can run your business from anywhere you can find an Internet connection. Reason #5: No need for employees. I have absolutely zero employees (it's just Missy and I running the whole show) and I couldn't be happier not to deal with all those headaches and hassles. We do have 2 virtual assistants and one �tech' guy on retainer but no real employees. Reason #7: You get paid over and over again for work you do one time. Once you create your information product you can keep selling it over and over again. The work is done one time and you repeatedly profit from it. That's incredible leverage so your income isn't tied to the number of hours you work. At last count I've had over 508 people post to my InternetLifestyle.com blog detailing their own reasons for WHY information marketing is the best business in the world. It's for all these reasons and more I truly think Information is your key to creating the freedom, wealth and security you deserve. Now imagine how much faster you get your information business up and going (or take it to the next level) by having a step-by-step blueprint from someone who's actually done it! Proof That I Really Do "Walk The Talk"
These are documented daily deposits from just one of our accounts. And all of this is actual money that was deposited in my account automatically from my website while I'm sleeping, working on other projects or just hanging out. Or on the days we have promotions going on -- things get really exciting! Of course the money (and attention) is great - but there's actually a much bigger benefit to having an Internet business that runs itself almost completely on autopilot - and that is the freedom we talked about! I go play volleyball, work out at the gym, go for a walk to the park with my kids or just plain goof off pretty much whenever I want. I never put on a suit except for a funeral or wedding and I typically work in a pair of flip flops and shorts. Plus, now that I'm a father, I have the time to watch my son and daughter grow up. 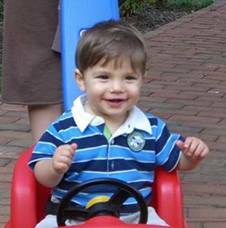 With our 2-year old, Zak, I got to witness every little moment from his first real smile to his very first steps. I'm usually the only father at his �My Gym' class and I get a kick out of it. 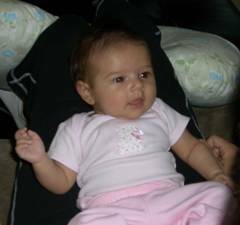 Plus now with our new 2 � month-old, Zoe, I get to do it again. Personally, I get my thrills from any kind of exciting experience like Running with the Bulls, bungee jumping, sky diving, Baja racing, exotic car road rallies, Zero G flights, an even upcoming trip into space on Virgin Galactic. I know for some people these kind of outlandish adventures aren't for them -- but if there is something you're passionate about and excited for you can do it thanks to the income generated online with your information marketing business. In 1998, my very first information marketing business selling to a small niche of 10,000 prospects produced $150,000/year. 4 different products have eclipsed the monumental 7-figure mark for sales and one of them was a just simple $40 downloadable product. My free viral ebooks, which are specifically designed to sell other products, have been downloaded over 3,000,000 times online (and this is probably a very conservative estimate). Last 5 launches have all broken $100,000.00 in their first 7 days of release. Held the largest Internet marketing only conference with 521 attendees for my "30th Bday Bash". Sold-Out a $14,497.00 "Apprentice" program (Yes, before Trump!) and created a wait list using nothing more than email. Side note: Participants not only paid the hefty program fee but also a 12% royalty on sales! Brought in over $500,000.00+ selling rights to pre-existing products. Sold over $212,117.00 in one hour from a single 1-hour teleseminar. Little print newsletter generates over $650,000.00/year and it's barely been promoted. I love MasterMind groups because if done right they require significantly less personal time and can create disproportionate profits for you. The big secret is when you bring the right people into your MasterMind group they'll end up doing the heavy lifting and it actually works out better than any type of one-on-one coaching or mentoring. Initiated a group coaching program for $7,500.00 per student. Allows you to get paid more by going away from one-on-one coaching. Modified an existing information product (kit) for Cosmetic Surgeons into a high-priced, done-for-them service type business. Went from a $900 sale to a $43,500.00 per year revenue stream from those doctors. Here's the bottom line, never before have we lived in such a time filled with immense opportunity to do your own thing...quickly and easily. I know you might be skeptical and that's totally understandable. That's why even more exciting than my own success is the success of my students, who have gone on to build 6 & 7-figure businesses selling information in every conceivable field. "On Track to Break $1,000,000.00 in Sales This Year..."
BRETT'S PERSONAL LIFE BEFORE: Before learning some of these strategies, I was working 18 hour days trying to run and grow my online business with not much time freedom or time to spend with my girlfriend. BRETT'S PERSONAL LIFE AFTER: Now I have much more time to enjoy life�spend time with family and friends... vacation 3-4 times per year. I bought a beautiful home in Boca Raton Florida and just got the car I've always wanted... a Porsche 911 Turbo including a new driveway to park it on. We can now afford to outsource much of the tedious order taking and customer service and enjoy more time and financial freedom. I'm not a slave to my computer anymore and now have a steady reliable online income. BRETT'S BUSINESS BEFORE: Before I used your ideas and strategies, my business was limited to one drop-shipping website that was limping along and making only several thousand dollars a month in profits and only a couple thousand subscribers. BRETT'S BUSINESS AFTER: After using your materials and strategies... that same business generated over $570,000 last year and is on track to break $1,000,000 in sales this year.... We have one affiliate who has sent over $120,000 in sales to us alone. I've also used these same affiliate/JV strategies to launch and grow an info-product business to over $750,000 in sales in under two years with zero advertising! The people with the best information online are the most successful. Don't try to figure all this out on you own�it's much better to leverage what other people have already discovered that works! As a general rule, the most expensive resources, seminars, products are usually the ones that add the most to your bottom line! Look at it as an investment in your future, and always, always re-invest in new tools to grow your business. 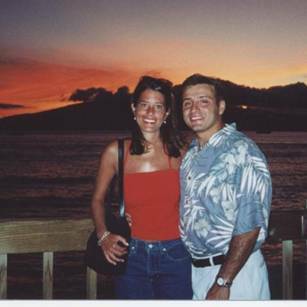 "...From Dot-Com Bubble Bust to Making Serious Bank Online With Salsa Dancing..."
FERNANDO'S PERSONAL LIFE BEFORE: I know many people hate their jobs... but I took a survey and yes -- my job was the worst in the world. Seriously, I had been a high-level employee in the world of technology and IT, but after the dot.com bust I was laid off. After 2 years of not finding work, I was in bankruptcy -- lost my car, my house and a small 8 unit hotel I owned out of the country. I was living in a bedroom where I shared a single bathroom with 3 other families. The room I lived in was so small the only thing that could fit was my full sized bed and a small drawer set where I kept my belongings. I didn't even have a phone... so when I had to call someone I had to go about 2 blocks to a public phone. That may not seem like a big deal, but since I was on the East Coast at the time, during the winter months it was no fun at all. All this happened because I was too stupid to accept the fact that high-tech was dead... at least in what I had expected of it. But one day, I woke up pissed off at the world. I decided right there that in no way would I be living like that. That's when I decided to go into business for myself. I think it's pretty amazing when you realize you're capable of so much more. I think also it helps you with gettin' over your fears. I mean, I was desperate and HAD to do something. Maybe that was a blessing because had I been comfortable, perhaps I wouldn't have been so intent on making it a success. But more likely than not, most people don't do anything because of fear... so achieving success in this area has given me a whole new perspective on fear and how to handle the unknown. FERNANDO'S BUSINESS BEFORE: That's a pretty funny question because before using your ideas like testing and tracking, I had NO IDEA what my business was doing. The fact is though, I had ZERO in sales. Big fat 0. That's not an exaggeration either. You may remember I emailed you a long time ago venting about it. You graciously gave me advice and I made some changes and purchases which turned out to be the best investments I had made. In terms of subscribers, I'd say I had about 500 subscribers and getting about 2 a day. FERNANDO'S BUSINESS AFTER: Ok... today after applying your copywriting techniques and strategies, as well as other techniques like upsells, using Thank You pages, co-reg and others -- I get about 80,000-100,000 visitors a month. I've got an Alexa rank of 34,695 -- the highest of anyone in my field -- and about 97,000 subscribers. The biggest benefit has been the ability to partner up and JV with some of the bigger names in my industry. When I first started, NO ONE gave me the time of day -- I was too small. But now they come to me. It seems like there's a never-ending supply of JV opportunities. I can't even put a number on it for future earnings, but as of the last 2 years I would say it's been a solid $300,000. THE BOTTOM LINE: First of all, stop ^$&*^# around. Sorry for being so blunt, but the fact is you either gotta be very desperate or very motivated to take action. I was desperate and therefore motivated... but being in a situation like mine can be a very bad thing too. So really, whatever money you're going to spend is NOTHING compared to the years of trial and error. Do whatever you have to do to motivate yourself. Most people in this world live average lives because they have average motivation and average habits. Instead of spending that money on crap you don't need, spend it on yourself. Another thing I'd say is to give me a call. My phone number is 201-455-6558 and they can leave me a message. If they really think that this is all bull -- I can supply them with copies of everything I have for them to review and see for themselves. The funny thing is that most people won't call because again -- they're too afraid. So if they're undecided, they need to figure out what fear is stopping them and then attack and demolish that fear. Finally, I'd have to say to give it a shot. Most of your products have guarantees anyway... so what the heck -- they've got nothing to lose but a bit of time. "Over $200,000.00 per year Being Totally Computer �Illiterate'..."
BARBARA'S PERSONAL LIFE BEFORE: I owned my own home but had lots of debt and never enough time or money for what I really wanted -- which was to be independent of a job per se, and to be creative and inspirational in my work. I had always wanted to be my own career -- to develop my own talents to make my livelihood from. I had a very good corporate job for a fortune-100 company, but was bored and had long ago hit the ceiling professionally and salary-wise. Things were looking a little bleak at times, but I always had faith that I could change things -- given the right opportunity and tools. BARBARA'S PERSONAL LIFE AFTER: I found the right tools in Yanik's marketing materials. Now I have a bigger/nicer home than before in a much better neighborhood. I just purchased a second home -- a vacation condo in my favorite area of the Southwest. And best of all... I am leaving my dead-end corporate job in five months! Then I'll have the time to really devote to my website ideas, niches and businesses -- and there's no telling what other opportunities may come my way! I have found new talents and abilities that I didn't think I had -- like having good instincts for business and being a fairly good salesperson. It has given me renewed confidence in myself as being my own boss, and it rewarded my tenacity for knowing that all those years, life really COULD be better than it had been. BARBARA'S BUSINESS BEFORE: I started a small website in June 2003 as a hobby only. I hoped to make about $250 a week. By end of that year, I was getting about 150 hits per month and averaged about $350 per week -- profiting about $250 per week. I had no subscribers because I knew nothing about list-building back then. BARBARA'S BUSINESS AFTER: My website now gets about 500 hits per month and averages about $12,000-$13,000 monthly. Profit is in the $7,000 range... and I am just starting a newsletter for my subscribers. But I am now leading into more directions on the internet with more websites and niche ideas. So the benefit is immeasurable and continues to develop for me. In hard numbers I would estimate a few million dollars... and I'm only just getting started! THE BOTTOM LINE: Yanik's tools have been so instrumental for me, because I had been willing to work with them. After all, I haven't even begun to use 30% of what I've learned yet. Plus, if someone like myself with zilch internet marketing skills and totally computer-illiterate could profit to $200,000 per year in less than 3 years... hey, the sky's the limit. "Truly Have a Business on MY Terms..."
CHRIS'S PERSONAL LIFE BEFORE: Honestly, my life was pretty good before I met you, but in the theater world (which is my background), even as a professional you don't earn much money. I was making $135/week with my first professional gig and only $500/week on a recent project (even $200/week during a show at the Kennedy Center!). While I absolutely loved those projects, that income level doesn't allow me the freedom to enjoy life as much as I'd want and still follow my passion. CHRIS'S PERSONAL LIFE AFTER: Rarely do I have to set an alarm clock and I can pick up and go whenever I want. I have close friends and customers from literally all over the world and get to work on theater/music projects -- my big passion -- whenever I feel like.... but this time on MY terms and schedule. If I want something bigger and better (whether its business or theater), I now have tools and techniques that I can implement to achieve that. My thinking has also expanded -- so I set my goals higher now and think much bigger with a great sense of positive expectancy. I also get to take fun trips pretty regularly (cruises, Europe, Zero G flight, other countries, Disney World) while most of the regular people I know continue to complain about their 9-5 job and lack of vacation days. CHRIS'S BUSINESS BEFORE: Before I worked with you, I understood a lot of pieces to the puzzle and had a fair amount of skills, but hadn't really seen a birds-eye big picture view of an online business... especially the possibilities that weren't being tapped. My business wasn't really a stable, mature business yet. CHRIS'S BUSINESS AFTER: One of the biggest things is that I truly have a very successful business now. I'm a recognized expert in several niches -- and in one niche I've built a thriving business... complete with emails, direct mail, months of follow-ups, and back-end products. I even helped to write part of a book that's now found in Barnes & Noble, Borders etc. -- which would NEVER have happened if I wasn't involved with you. In fact, in one of my niches (that you suggested to me years ago), I was named "Network Marketing Coach of the Year" over the other top guns. My business changes have literally been worth well over a MILLION dollars in just the last few years. In fact just ONE idea that you gave me for a site has now turned into a thriving six-figure business and has banked over $214,173.51 online - and that number continues to grow every single week automatically. The ONLY thing I have to change on the site is putting up a new testimonial every month or two. And I've outsourced pretty much everything else in my business so I don't even have to work each day if I don't want to. Plus, my other very recent info-marketing projects have done over $173,964.03...$330,000...$479,461.00 and more. And coming full-circle back to my passion...I was even able to invest a good sum of money into an Off-Broadway musical! Not bad for someone who started with you at age 22, right? THE BOTTOM LINE: Honestly, if someone wants to make money online and they DON'T have your products on their shelf... they aren't serious. You've got guarantees, pages of testimonials, success stories and raving fans -- you wouldn't have that if you didn't have solid, proven material. Provided someone takes ACTION on what they get from you, it will be a wise, wise decision they'll make (I'm living proof!). Yanik, if someone is on the fence about picking up one of your resources or tools -- I'd tell them "you're the real deal." Starting from a tiny little business, I was fortunate enough to work one-on-one with you in your apprentice program and my business and personal life has completely changed -- not to mention I always earn back MULTIPLES of what I invest with you. Thank you! "Finally Able to Make To His Kids Sporting Games & Be an Involved Parent..."
MICHAEL'S PERSONAL LIFE BEFORE: I was teaching full-time... coaching basketball as the national coach for the country of St. Kitts and broadcasting part time with WTEM -- and STILL not making enough money to support our growing family. 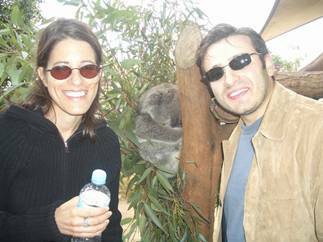 MICHAEL'S PERSONAL LIFE AFTER: I'll get to the bottom line WITHOUT using any hyperbole -- your materials were instrumental in saving my marriage and enabling me to support my family without any outside assistance. You took a complex issue and simplified it enough for me to grasp. I am able to make it to my kids' soccer/volleyball/basketball games during the week days. I have much more freedom over my schedule, which enables me to be an involved parent... which enables my children to have 2 parents involved in their lives. They're healthy kids because of it, although my teenagers are at that "parents are uncool to have around stage." We haven't gotten to the point yet where we get many vacations, but being a one man band takes time. I'm resigned to the fact that Rome wasn't built by one guy overnight anyway. MICHAEL'S BUSINESS BEFORE: Before implementing strategies from a few of your ebooks, visitors to my site were on the one and done plan. They either came to my site and filled out an enrollment form pertaining to a $5,000 Broadcaster Training apprenticeship program -- or I'd forever lose the ability to establish any kind of relationship with them. Needless to say, I spent a ton of money on advertising: $2,500 per month Adwords/Overture... which netted me only $3,000 per month due mainly to the quality of service we offer. In other words, the ONLY sales I was making was the low hanging fruit that fortunately made an emotional decision quickly. MICHAEL'S BUSINESS AFTER: After implementing the suggestions, I netted $121,000 my first year and $101,000 the next. I have a healthy niche oriented list of 8000 people who have money to spend. I no longer exclusively exchange my time for money. People are in my pipeline and being marketed even when my wife is ordering me to take the trash out. 80% of my business is on auto-pilot which allows me to keep that one last nerve intact (sorry... had to say that -- I have 5 kids). Truthfully, the biggest tangible benefit is you've taught me how to ripen the fruit through education and consistent follow-up -- using killer copy. Before returning to California, I left the teaching profession after 11 years service making $34,235. Very telling that my own children were eligible for free lunches due to our own low income. The first year the profit differential was $86,000 while the second was $66,000 -- and I haven't even been able to implement 1/5 of what you teach. THE BOTTOM LINE: Most experienced marketers will tell you WHAT to do to succeed, but very few will teach you HOW to implement winning strategies and WHY you'll benefit from doing things a proven way...With all the carnival-barking hucksters conniving to get into any willing soul's wallet, I can understand a healthy skepticism of claims made these days. Not so with Yanik... based upon my experience using his products. The guy showed me what HE himself uses -- why it works and how it can work for anyone by following simple enough instructions that even a former gym teacher like myself can follow. Nobody can buy my testimonial, as it's not for sale. I've been burned too many times purchasing products that are more sizzle than steak on account of someone's "Good 'ol Boy" testimonial network. Implementing simple as connecting-the-dots suggestions found in 3 of Yanik's products, I've netted a bit over $276,000 the past 3 years. Not bad for a guy starting from square one. Yanik: On a personal note, this exercise has caused me to internalize a few things. First off, I owe you a heartfelt thank you and have a debt of gratitude towards you. I'm sure you'll never understand the magnitude of the impact your work has resulted in and the lives you've touched in ways you may have never intended. Such is the beauty of the internet when talented teachers intersect with willing students. "New Mom Rakes in $58,000 PER Month with Her First Online Business..."
LIZ'S PERSONAL LIFE BEFORE: My job had informed me that my position would be filled by the time I got back from maternity leave. I could find another low paying job, but I wanted to see my daughter grow up and teach her myself. My husband's couldn't quite support us, despite working 10-14 hours a day -- 6 days a week. We were happy to be together, but getting stretched pretty thin. LIZ'S PERSONAL LIFE AFTER: What it's really worth is priceless. I get to stay home and raise my baby and my husband gets to quit his 65 hour a week job to see and work with his family. People used to think I was wacky and bizarre with all of my ideas. Now I'm an innovator and my opinion seems to matter to people. But I don't care what they think anymore. I proved to myself that I can succeed on my own terms and in my own wacky way. I gained the self confidence to be myself. What a gift! We just bought our first new car and look forward to more travel. We love seeing new things and meeting new people. Now we can! And... it sounds silly -- but we love to eat out, and now we can without feeling guilty for spending the money. LIZ'S BUSINESS AFTER: ...took me from ground zero (only having read Rosalind Gardner's book prior to the course) -- to idea -- to marketing and implementation. From $0 to $58,000 a month to start in 7 months. I should hit one million in gross profit on the front end by the end of the year. Now I have 197 subscribers to my $297 a month AdSense service with about 5200 on my list. And I haven't really kicked in my backend yet. The biggest benefit is learning the marketing mindset. I still have a long way to go, but now that I've done it once, I can do it again... because I understand how it works. "From $20,000.00 in Debt to Six-Figures Online Practically on Autopilot..."
RYAN'S PERSONAL LIFE BEFORE: I lived in a two bedroom apartment and was borrowing money for rent from my roommate. I didn't have a car for 6 months -- I paid for gasoline with spare change. I had failed in business -- felt depressed, and was over $20,000 in debt again after going bankrupt once already. RYAN'S PERSONAL LIFE AFTER: Since learning and implementing your strategies, I now drive a brand new BMW -- take 3 or 4 vacations per year -- spend summer days on the lake or by the pool and have time to spend with family and friends. I can donate and contribute time and money to worthy causes and help others around me. The biggest personal benefit is freedom. I feel so blessed having the freedom to work for myself and have 7 days off if I choose... not to be working or building my business. Freedom gives peace of mind and a sense of good expectations. RYAN'S BUSINESS BEFORE: Yanik, before I used your materials I was failing miserably on the internet. I was lucky to get 100 visitors per month to my website and I was losing about $100 per month. I made one or two sales per month and would get 4 or 5 subscribers, but I was losing money the entire time. RYAN'S BUSINESS AFTER: Yanik... today after discovering your strategies and ideas and putting your materials to use, my business is thriving beyond what I could have imagined when I started. Initially my goal was to make a car payment with my website. However, my newest website (which I launched 3 1/2 months ago) just did over $40,000 last month alone and I have only implemented 20% of your strategies! My other sites consistently make me well into the six figure income each year and they are practically on autopilot. I'm getting thousands of visitors to my sites per month, hundreds of subscribers and I have a shot of doing $1,000,000 this year online. I'm making more money with my business now per month than many people earn in an entire year. THE BOTTOM LINE: Yanik walks the walk. You know that someone is the real deal when not only they make money, but they have taught others to make money as well. He is a leader in this industry and if you follow what he teaches and what he shares, then there is no limit to what you can accomplish. Just bring a desire to learn and a work ethic to take action and Yanik's information will get you to wherever it is that you want to go financially. If I can make money in this industry, then ANYBODY can make money. I didn't know one thing about making money on the Internet before studying Yanik Silver... and his information has given me my life back! "Six Figures from Guitar Lessons Online..."
ANDREW'S PERSONAL LIFE BEFORE: The five years before I started my business I was bouncing from job to job -- living paycheck to paycheck. Never knowing when I would hear about the next round of layoffs. Getting up at 6 a.m. so I could get to the city by 8:30. Stressing over the next deadline. Watching guys younger than me get promotions and knowing I was in a dead end job. This was ruining my personal life as well. Kids, wife and family were embarrassed seeing me get laid off time and time again. Missing soccer, baseball and football games because I had to get some report out for the boss. In short, I was miserable. ANDREW'S PERSONAL LIFE AFTER: I am now much more relaxed. I have time to spend with friends and family. Last year, we bought a new house. I bought a brand new car and in two weeks we are traveling for a weekend in the Hamptons. How can you put a price on increased confidence and more importantly owning your life and not working for someone else? How do you put a value on being able to pick up the kids in the middle of the day and not worry about missing work? And more importantly, seeing the look in my kids eyes. Now they see a success and are proud of me. ANDREW'S BUSINESS BEFORE: Before I bought any of your products, I had never made penny on the internet. 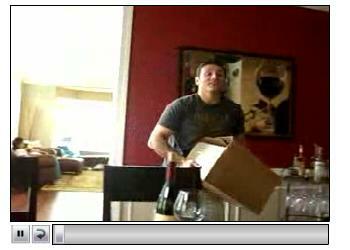 ANDREW'S BUSINESS AFTER: I have made over $275,000 in about three years. Last week I did a joint venture with a small competitor and we both made over $1,500 each for about 2 hours work. I am rolling out my Amazing Guitar 2.0 this month and estimate I will bring in over $40,000 using 5 simple e-mails. Now I get approached with lucrative joint venture deals and I am now a major player in the market. Last month I helped broker a $15,000 joint venture deal with one phone call. THE BOTTOM LINE: There are lots of gurus out there and they all sound great, but this I know: Yanik Silver Walks the Walk. Yanik is on everyone's A-List because his products deliver. I would recommend your products to anyone who wants a better way of life!! Thank you, Thank you, Thank you! JERRY'S PERSONAL LIFE BEFORE: I was a single guy traveling the equivalent of 7 times around the world conducting trainings. I didn't have time for a meaningful relationship. JJERRY'S PERSONAL LIFE AFTER: I'm married... Have an 8 month old son... I even have a better relationship with my oldest son, who's about to turn 19. 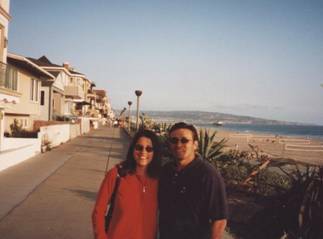 He's attending University California -- Santa Barbara at the moment... We have 3 homes all within an hour apart -- that's for our personal use, including a 7,000 sq. ft. home and a 4,000 sq. ft. lake home. Own additional commercial and residential land, have multiple vehicles. Including His and Hers Mercedes Benzes. Mine is a CL600 -- hers is a SLK convertible. JERRY'S BUSINESS BEFORE: I believe my Alexa Ranking was 683,952... 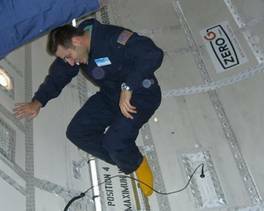 I was traveling over 200,000 miles per year conducting trainings. I was earning just over $80,000 per month -- right at a million per year. JERRY'S BUSINESS AFTER: As of April 24th 2006... My Alexa ranking is showing to be at 164,168... It was as low as 57,000 before some Alexa challenge that they experienced. Last month I earned just a bit over $143,000 and now experience SEVEN Figure Annual Results. Last year I only traveled 76,000 miles and by the end of this year it should finish up with about 50,000 miles of travel -- which allows me to stay home more with my family. Trust me... I'm still doing most of the internet marketing wrong, and yet I've been able to add several hundreds of thousands of dollars per year in my pocket... and stay home more, as a result of these principles. If you're serious about picking up your productivity and pumping up your profits, then I would highly suggest you pick up the training resources that Yanik makes available. But You Don't Need to Envy me Or My Students -- Join Us Instead! �"Yanik Silver's Ultimate A-to-Z Information Marketing Brain-in-A-Box"
The thing is I've never presented an entire seminar and workshop devoted only to information marketing before these 2. The lucky few who attended walked away from this training with the ability to successfully expand any information marketing business to the next level or instantly take a new idea and create MONEY at will. However the bad news is each event was a small, closed-door group. And if didn't make it to either event...it will probably NEVER be offered again (sorry!). in all my samples, exhibits, worksheets, examples, swipe files and charts to turned the whole thing into arguably one of the greatest "encyclopedias" of info-marketing know-how. 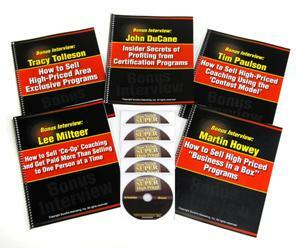 The first major component of this System is my just released "Information Marketing Players Workshop". Think of this as your college degree for Info marketing. During these 2 days, we covered absolutely every element of the information marketing, loads of examples, different models, a bulging swipe file and everything I use to consistently knock out one winning info product after another. It was a complete "TELL ALL" about the information marketing business. How I've sold millions online & offline -- and how my students have sold millions more. I revealed secrets I've never shared publicly. In fact, much of the information revealed hasn't even been given to my close �marketing buddies' except for bits and pieces here and there. That's right, every single thing I've done in just a few years to sell $12,000,000+ myself in information products with absolutely zero employees (except my wife, Missy)! But YOU Can Still Have a Front Row Seat! First, you get the complete Workshop on audio CDs. It comes out to an entire library of professionally recorded audio CDs of almost the entire 2 day Workshop. You'll be able to listen to these audios anywhere you are. Whether driving in the car, working out at the gym or just lounging around the house. You'll want to listen to these powerful audios over and over again to fully �imprint' all the breakthrough copy ideas, concepts and techniques presented. Next, you'll get the entire Workshop captured on 9 DVDs for you. This is a like a front-row seat in your living room for the whole 2 day event. That means anytime you're ready you can pop in one of the digitally mastered DVDs and watch at your convenience. Whatever fits your schedule. Spend a little time each night or on the weekends mastering everything from the comfort of your home. The professional DVDs let you feel like you're right in the room experiencing and participating with attendees. Finally, you get Three GIGANTIC Manuals: #1 and #2 are the actual Workshop notes, slides, exhibits, and swipe file and #3 is a complete A-to-Z sample of 5 different information products and all the promotion pieces. During these 2 days, I covered absolutely every element that goes into creating a winning internet marketing business (from product idea conception, to creation to maximizing revenue). That means everything from all the little nuts and bolts that normally get glossed over to the big picture stuff to ensure you have a "MICRO" and "MACRO" view of the internet marketing business. Want a preview of some of the incredible information that's part of this material? I've created several videos to give you a better idea if this is right for you. * The �oil well' model to a building a true business selling & publishing� information. * 5 ways to create "BIG ideas" and "hooks" to make your info product stand out in a sea of competitors. * How to use Mindmapping to quickly create your best-selling info product. * How to double or triple the price you charge for your products...and the psychology behind selling at high price points. This is the same kind of information which others would easily charge good money for -- but it's your FREE -- if you'd like to check this out further. 7 proven ways to get a slew of powerful testimonials even if you don't have a list or a "name" in your industry. The simple question you need to ask yourself to have a flood of non-stop moneymaking information marketing ideas....and how to TEST them quickly without breaking the bank! How to successfully leverage your existing information products and squeeze even more profits out of them (with little or no additional work). How to successfully build up a product launch from inception to execution to keeping the momentum going! How to integrate "personality" in your product and marketing so that buyers want more and more and more! Offline secrets of direct mail, space advertising, telesales, etc that can quickly and easily DOUBLE your profits. My #1 secret for getting customers to "pre-pay" for me to create an information product! How to use resell rights to create dramatic profit surges plus long-lasting benefits without devaluing your product. The right way to conduct "sales" and special "savings events" so that your customers don't get used to waiting for a sale and driving your profits into the toilet. A slick way to capture the names of buyers of people who buy your products from other people! Already selling online? Use these "point-of-transaction" secrets to instantly double or triple your ROI on practically any product you sell! How/what I outsource and much more! In fact, no subject was taboo or off-limits during these 2 days.� Frankly, no stone was left unturned detailing the real insider's path to wealth in the information marketing business. This is the complete MATRIX-like download of my "brain" and all my files. What's more, there's another huge benefit to this package and that is the caliber of attendees. Each one of the attendees is a successful business owner in their own right and I made sure there were lots of "insider secrets" that I coaxed out of them during these 2 days. �I think you'll be shocked and amazed at the uncensored intel they candidly shared! Remember, others paid $5,000.00 to hear this brand-new information live a few months ago -- but you'll get everything in the home-study version delivered to your door for pennies on the dollar. "...When I was first getting into this online his name just kept on popping up. I didn't actually buy any of his stuff to start off with because his sales copy was so good that I thought if I start buying from him I'm just going to keep buying from him. "Then when he decided to do his Copywriting Workshop, a couple years back, I thought right, that's the first thing I'm going to get from him. So I spent, I think it was $4,000 and $2,000 flight from Australia and hotel. It was expensive. But I knew as soon as I got there though I had made the right call and got all his tips, tricks and techniques. "From there I've just used the information that he gave to me then to pretty much explode my business...The six months after August 2004, the six months before I made just over 800% more in sales and I boosted my subscriptions by about 25,000 over what I had before which was a huge amount because I only had a small list then...Well, since I met Yanik my lifestyle has been totally open in the sense that I can pretty much go and be wherever I want to be. I sometimes live in Australia. I sometimes live in the UK. "...The one thing I've certainly learned from Yanik is making money is easy. It really is. You just have to have the tools to do it. You just have to look at what people are saying about Yanik. It's true. You just have to take a leap of faith. You just have to imagine what your life will be like, take the leap of faith. All Yanik's stuff is fully guaranteed. You'd be a fool not to give it a go." (Click For Video) "...I guess one year ago I launched this seminar business using mostly e-mail promotion and techniques that I learned from Yanik. Definitely it's good business. In just one year we are netting more than one million euros so it's doing very well. I guess that 80% of the promotion we do via Internet in long form web letters so definitely Yanik had big impact in the marketing I do. him, trust him because he is really doing the stuff..."
"I had about six grand in debt, no furniture, no TV, just a desk and a bed for about a year. Within 12 to 18 months now since that period and after learning what I've learned from Yanik and many others I'm on track to do seven figures by the end my second year. Two recent product launches that we've done using kind of the model that I've watched him do, we did $87,000 in nine days. Then the last one we did...$60,000 in sales in 48 hours. "The biggest thing about Yanik's products is...the level of detail and the value that you get out of that is just ten times more than what you paid for it..."
Heard enough? Click here to have this entire package shipped out to you immediately! "Here's Everything You Need To Sell High-Priced, BIG-Profit Products & Services To Eager Buyers...Without Working Any Harder"
This was (and is) the first (and only) workshop devoted to the psychology, creation, execution and implementation of selling high-ticket information products and services. Here's where it gets advanced! If the previous workshop was your college degree then this is like your Masters and PhD all rolled into one. Frankly, if you boil down my biggest profit windfalls in my business (and the most astute marketers I observe) it has come down to selling premium products and services at premium prices. That's how my business has leapfrogged from 6-figures to 7-figures and now multiple 7-figures a year! To Your Bottomline This Year? It's Easy! Frankly, most people are banging their heads against the wall trying to sell $7, $25, $50 or even $100 products. From the chart above you'll notice it takes tens of thousands of customers to hit the 7-figure mark. But when you understand how to sell high-priced products and services you only need 100 good customers to pocket a cool mil. Now you're probably thinking, "Easy for you to say! But there's no way my customers would buy anything priced like that!" I'm glad that's on your mind because that's exactly what your competitors are saying too - while you can be chalking up huge 6 and 7-figure paydays....if you get it! Listen, it truly takes about the same effort (with a few tweaks) to sell a high-priced product as it does to sell a low-priced (low margin) product. In most cases the difference is simply having the confidence to present an attractive offer with exceptional value to your customers at a premium price. You see, the real hidden wealth in your business is selling high-priced products and services to a select group of qualified customers. You've probably heard of the "80/20 rule". This is the rule that states 80% of your income is derived from 20% of your customers. Well that's true. You can take the 80/20 rule one level further and divide up those top 20% again by 20%. So now you're left with the top 4% of your customers. Those 4% are the ones where price becomes incredibly E-L-A-S-T-I-C based on the value presented. And that same 4% will feed in you style for the rest of your life -- if you let them. Price qualifies your customers more than you might realize. The ones that pay $7 for an ebook are going to be the ones that whine and complain the most! They'll tax and strain your customer support team. But in comparison the customers who spend significant amounts of money are surprisingly easier to deal with and less demanding. We've always been taught "You get what you pay for". It's not uncommon for a prospective customer to discount a product or offering because it's "too cheap". Ultimately the value you provide will dictate the profits you receive from your customers. Increase the value and your revenues go up. By selling high-profit products with high-margins you have lots more wiggle room to deliver sensational value. You can really "WOW" your customers and buyers. Not only can you throw in high-value extras but you can afford to deliver truly unique unadvertised bonuses and follow-ups. It sounds crazy but some customers are only premium buyers. If you gave them a discount it would actually decrease the response. Plus, some customers are only comfortable buying in the high-end range. I was shocked when I discovered with my first high-priced offering. All the big profit windfalls you've seen highlighted in the marketplace have all come from creating high-priced offerings. You've seen some of the numbers...$1M in a day, $900,000.00 in 8 minutes, $3.5M in one week, etc. etc. Like I already showed you in the chart -- it's way easier to hit these kind of big paydays by only having to sell to a small handful of customers. Plus, the other piece of the puzzle is you can spend more on your own to acquire a customer. This is huge! If I'm in the same marketplace and I'm competing against who only has $100.00 product at the end of their funnel and I have a $10,000.00 offering -- there's going to be almost no contest.� I can spend more on Pay-per-click, more on advertising, more on affiliate pay-outs, more on offline follow-up, more on testing unusual advertising places, etc. etc. And I can make bad results work for me. If I'm direct mailing for a high-priced product I only need a fraction of a fraction of a fraction of the response for a low-priced product to make me money. "Well, as usual, Yanik really over-delivered in terms of content. He gave us huge binders worth of real examples to take away and use in our own businesses. One of the things that really convinced me and this seminar was that any business can benefit from high priced products and services. It doesn't matter what the business is. There's always room for that player within that niche that can offer those things. So, it was fantastic advice...You cannot put a price on the value of this workshop." How to �Press' the psychological HOT buttons of premium buyers. Understanding what your customers want and are willing to pay BIG bucks for. How to "slice & dice" your expertise into increasingly higher-paid programs. Logistics of fulfilling and running programs. (Whether it's a group or one-on-one program, etc) Here's how to deliver massive value without taking up excessive amounts of your time. How to strategically "Set-Up" events for maximum sales using the right scheduling, "blue-door, red-door" strategies, "looping back" offers and more! The surprising WAY to use celebrities to instantly boost your sales & your prospect's excitement! How to use TRUE joint venture partners to fulfill certain parts of your program to free you up for more important aspects. Back door ways of creating ongoing revenue streams beyond the sale and lots more including real case studies and real behind-the-scenes, confidential results from my own high-priced offers. "... Given me an exact blueprint of what I need to do to put together my seminar for my high priced product. The feedback was invaluable. It helped me identify areas that I can get extra bonuses and that's one of the benefits of High Priced Seminar is that you can really give away a lot to entice people to come to your event and give them even more value there..."
"...I have to say it was great because what I learned is the strategies behind selling high priced items from ways I never thought of before, particularly, the psychology behind it. I literally got a million dollar idea out of it that I can take and implement tomorrow. So it's well worth the time and well worth the money. Thanks Yanik." "I've just done a quick calculation on all the ideas that I've got from the weekend. What Yanik has shown me is how easy my existing resources and the material I have already got I can make an extra �180,000.00 ($360,000.00) this year. So was this worth the investment? I think so. I would particularly like the inspiration I got and just the extra confidence that there's a psychological step in charging more for your services and Yanik has really helped me make that leap. So I'm thrilled I was here.."
> been huge for me. > Thanks once again. Taking your workshop was a leap of faith for > me but it has paid off in spades. As I mentioned, there where no other speakers at these workshops except me. There are several other big ways to profit from high priced information products & services and I cornered my friends and colleagues to spill their guts about their own discoveries. We covered even more of the nuts and bolts from new perspectives...to give you even more ideas for different ways of selling high-end products and services. Tracy Tolleson: "How to Sell High-Priced Area-Exclusive Programs"
Lee Milteer: "How to Sell Co-Op Coaching & Get Paid More Than Selling to One Person at a Time"
John DuCane: "Insider Secrets of Profiting from Certification Programs"
John was actually a paid attendee but his insight into Certification programs was so acute I begged him to an interview. John's sold several types of certification programs in the fitness and well-being marketplace. Tim Paulson: "How to Sell High-Priced Coaching Using the Contest Model"
Martin Howey: "How to Sell High-Priced Business-in-a-Box Programs"
Martin sells a $30,000.00 "business-in-a-box" for people interesting in becoming consultants. This bonus shouldn't be taken lightly and could be sold on its own for the price I'm charging for this whole package. $105,000. I have increased our revenues by over 150% over $150,000 of additional revenues. It's been worth about $200,000.00 in revenues so far and well over $1,000,000.00 in the next 12-18 months. Yanik, you have the ultimate lifestyle. You have a family only work with people you like make TONS of money AND take tons of time off. I know plenty of very successful people and I don't know ANYBODY who has your life. Most other folks usually have to give up one of the above but you have it all..."
"I was a little skeptical when I ordered Yanik's...package mainly because I THOUGHT it cost too much money. Boy, was I wrong. It didn't cost anything. Because I made $7500 in 30 hours on the Net using just one of the ideas from the seminar....as of right now the launch generated $11,952 in one week. THANK YOU !!! !...by the way I also started a forced continuity program that has 381 members at $30 a month. [That's $11,430.00/month in ongoing revenue]"
Or if you've considering selling information or are just dabbling right now this whole package will take light years beyond just the basics most other "so-called" experts could teach you. "Just to let you know I grossed 70k in the last 45 days. Now I am a bit tired and will take a rest for a while but it has been amazing 45 days for me grossing 70k in just 45 days. Your seminar was a real eye-opener. Truly amazing....Once again thanks Yanik, and if there is anything I can do for you let me know. I owe you a lot simply because your seminar gave me the option to exercise financial freedom. " "I came across from the UK for the event knowing nothing about 'Information Marketing'...I want you to know just how bloody useful the whole thing was. I'm very grateful to you for putting it all together. Within five weeks of the event I had launched my first product. Within nine months of the event, using the techniques and tips that I learned...I have generated well over one million dollars in sales from that single product. It has been incredible. All this with no previous experience ...I've closed down my 'old' business, changed my entire way of life, and am having so much fun..."
Remember, others paid $15,000.00 to hear this brand-new information live a few months ago -- but you'll get everything in the home-study version delivered to your door for pennies on the dollar. Now everytime I've offered anything remotely close to this sheer size and scope it's been sold-out faster than a dozen glazed disappear at the Police station. And when I reveal all the details of the special bonuses -- I doubt this will be an exception. Here are the special bonuses I've got lined up for you! Special Bonuses To Complete "Yanik's Info Marketing Brain-in-a-Box"
To succeed online, no matter what you're selling, you must get people to your website. We call that "traffic". In this audio recording, 7 of the shrewdest Internet marketers on the planet give you the 7 absolute best, NO-FAIL traffic systems to blast your web traffic through the roof! To make sure you're on the right track I will personally critique and evaluate your initial idea. It's absolutely critical that you have someone with real-world market experience let you know if you're headed in the right direction or for a train wreck. Just think how much money and frustration this will save you because you'll have the confidence of knowing your Internet project or idea actually has some "legs". (This is a very real $375.00 value since I charge $750.00 per hour of consulting - and this takes at least a half hour - but you'll get it free included with your package. As you can see I'm willing to personally coach you through the most difficult and confusing parts where most people get stuck You just fill out the certificate and get my best-reasoned advice for both of these critical areas. Special Bonus #3: My Personal "Million Dollar Rolodex"
My own closely guarded list of reliable vendors who will help you with everything you need to get up and running as quickly as possible. Just having this list will save you hours of time and frustration! Remember, I'm a total computer dunce and could not put up my own website if my life depending on it. That's why, over the years I've jealously-guarded some of the most reliable people I use in my business day-in and day-out. But now I'm handing them to you on a silver platter. In only minutes you can quickly and easily create a winning sales letter guaranteed to sell your information product...without writing! I'm going to hand you a collection 5 different �boiler-plate' letter formats you can use for any niches. It's easy because you don't need to be a master copywriter once you follow the formula in this exclusive bonus. Just think! You'll never again suffer through the pain and hassle of trying to write a powerful sales letter yourself. Or pay big bucks hiring a top copywriter. Now, you can get everything all done for you, practically handed to you on a silver platter. You simply fill-in-the-blanks...and you're done in about 7 minutes -- flat! If you're like me -- it helps if you have everything boiled down to the most critical parts. That's why I'm going to hand you a week-by-week blueprint for the closest thing I know to legally creating your own automatic publishing cash-generator. If you follow this guide, you'll finish up the 6-weeks with a ready-to-go website, information product and killer sales process in place -- ready to launch your online success story. "What Market Should I Go After...And What Do I Sell?" Of course, I cover getting started and coming up with your idea in the workshop but I wanted to go deeper for you! That's why I tracked down someone with the answer -- Glenn Livingston. Glenn is kind of an odd success story because he used to work with some of the biggest corporations on the planet like Bausch & Lomb, Whirlpool, and Nabisco, where he billed them $100,000 - $500,000 per project until he decided to fire all his clients to sell a $9.99 ebook on Guinea Pigs. In early 2004 Glenn got started using his "big-company" marketing research systems to apply to tiny niche marketplaces. He was going to sell ebooks even though he was totally late to the "party". Well, what happened next was...quite frankly...stunning. Just using his unique research system and nothing else...no purchased opt-in lists, no backend products, no SEO, no affiliates and no JV deals... simply buying his own traffic, Glenn was able to start banking $2,000 a month with his silly guinea pig ebook. Glenn is in 14 different niches that have absolutely nothing to do with "make money on the Internet". He's got sites out there making him passive income on guinea pigs, alpacas, body language, Sudoku, wastewater management, pygmy goats, disability, life coaching, Radon, and a wide variety of other markets. I asked Glenn to create an exclusive audio just for you called "How to Chose Your Market & What to Sell". This might be the first thing you listen to if you're confused about what to sell or to what marketplace. "How Do I Get Traffic To My Website"
As I mentioned you'll be getting my "Instant Traffic Stampede" product (previously sold for $397.00) but I wanted to give you something else that goes into minute detail on the quickest and easiest traffic generation method...Google AdWords. I've never claimed to be an expert here so I wrangled up Phil Chapman from the UK who has been running my company's pay-per-click campaigns with astounding success. He's managed to get me from barely breaking even to getting a sky-high 1900% ROI in the course of a few weeks. Phil's absolutely one of the best at using this sometimes tricky method to really deliver for you. With a bit of pleading I got Phil to supply his full-length book "How to Succeed With Google AdWords". It sells everyday for $67 U.S. and you can only get it a digital form from Phil's site. I've worked out a deal to print it for you and deliver it on CD-rom for your convenience. If you want to start getting targeted visitors to any site within 15 minutes or less -- this is the guide! Phew! Is this an incredible package or what? One colleague tried to convince me that I should charge the exact same 5 G's like you would have paid for the lower priced �Players' Workshop as for "At-Home" version because I am essentially delivering nearly the same "how to value" here. I seriously considered it. However, I am not greedy and didn't want to put this breakthrough information out of reach for a lot of people. So I'm not going to charge you the original tuition, but I'm also not going to put this material into the hands of anyone who doesn't see the immense value here. I'm not going to let it go at "K-Mart" prices - because, frankly, I know exactly what this kind of business can provide and how hard I worked to put such a comprehensive package together for you. Besides that, I believe you'll be more likely not to APPLY this knowledge if it was too cheap. And I really WANT you to USE this information so I've come to a compromise. I'm going to dramatically drop the price to 3 easy payments (spread 30 days apart) of just $1050/each. Or take care of it in one payment and I'll deduct another $155. If you're in desperate financial straits and have to take out a 5th mortgage or put up your kidney on eBay -- I strongly suggest this is not the package for you. Frankly, I think what I'm offering here is a true bargain for the right person! It's for very serious beginner Information marketers who value a step-by-step roadmap and shortcut from someone who's "done it". And it's for already successful information marketers who want to take their business to the next level. My advice if you're considering going for this -- get it now while it's the lowest price available for everything here. Now you might be wondering.. Here's the deal: The first guarantee is 3 months, totally unconditional. No questions asked and no note from your mother required. Get the �Yanik Silver's Ultimate A-to-Z Information Marketing Brain-in-a-Box' and tear into it, watch the videos, listen to the audios, go through all the written material, try out the ideas for any product or service. And if you're not absolutely thrilled for any reason (or no reason) - I'll cheerfully refund your purchase in full. Second, if you stay with me past 3 months, I'll still assure your success. I absolutely guarantee that if you make a diligent effort to try just a handful of the marketing strategies and techniques I reveal, you'll make a significant return on your investment within the next year. I'm talking additional profits you've never have seen without this material! If not, I'll gladly buy the entire package back from you for every penny you paid -- plus a $250.00 penalty straight out of my pocket! There are no weird loopholes on this either like only applies on the 3rd Tuesday when it rains. All you have to do is look in me in the "eye" on paper and show me just 3 techniques you tried that didn't work for you. But because I know the information in here is worth at least 10x -- 100x your investment I'm not really worried. If you want to discover exactly what it takes to put words on paper or on a computer screen and create money on demand anytime you feel like it -- you absolutely must have this material! In fact, here's a perfect example! �"After first meeting Yanik personally at one of my internet marketing mentor's seminar where Yanik spoke a few years ago. I came up to him to introduce myself to him since I'm from Maryland also. One tip that he gave me that night is one of the reasons I'm at the three million dollar mark with my info business now..."
-- Lloyd Irvin, Accokeek, MD"
Just imagine what having the material from 5 full days would do! Important Qualification: You will be privy to certain trade secrets and proprietary methods and techniques from my business that you must agree never to publish, resell or distribute in any way. You can only provide this information to your actual business associates or partners. You will be learning copyrighted, proprietary formulas and trade secrets for your own use and benefit, not for resale or redistribution in any way. The material contained in theses courses are the most advanced and confidential I've ever shared - and there's no way I'm going to let some unscrupulous person rip it off. That's why you'll also be required to agree to a binding non-disclosure agreement. You'll get access and be privy to insider information that others have never seen and I'll be damned if it starts showing up all over the place in flimsy $20 ebooks. Look, if you are even remotely considering taking this material and rehashing it for some purpose other than putting to work for your own business - let me spare you an enormous amount of grief, headaches and legal expenses - don't sign up! Simply put, if this requirements may pose a problem for you, it's best not to waste my time or yours. However, on the other hand if you're the kind of person who is willing to put in some work, follow a plan, and let someone who has "been there and done it" actually show them the ropes -- this is an incredible chance you shouldn't pass on. If this sounds like you - you owe it yourself to take action right now. An Online Moneymaker...Or Take You to the NEXT Level! I assure you what you'll learn in my system is not taught anywhere else. Nor is my success some kind of fluke that can't be copied. Bottom line: I live the "fabled" Internet lifestyle. You can do the same... or... better if you'd like. Take a chance (which is no chance because of my iron-clad guarantee) and join me! Click Here to Get Going Right NOW! Listen, if you're serious about finding out the true blueprint for making real money selling information products in all price points -- and adding an extra zero to your income -- this material is your shortcut! P.S. It's no secret that this event is a high-end product in itself. I'm sure you've done the math if I sell just a few of these packages -- I should do okay, right? Most "regular" people sweat all year for less. Do I feel guilty earning this much? Absolutely not! The fact is once you go through the material -- you too will be in the same position to literally create gigantic paydays almost will. Using what I'll show you it'll take just a few sales of your info product or one sale of a high-ticket item to cover your tuition here...and then everything else is just pure gravy! Nobody ever looks back on an offer they DIDN'T take and remembers that as the turning point in their lives. Truthfully, you'll probably forget all about this invitation in a few days and move onto to something else but it'll be only the few select individuals who get this material who will know the other side of the story and become our next successful case studies. Why can't it be you? QUESTION #1 - Can I still succeed selling information online and lead the "Internet Lifestyle" if I didn't get started years ago like you did? Is it too late for me? A:� It's funny because I don't feel like I got started so long ago. A lot of my friends got their start online in the early 90's and I actually thought I was late to the party. I'll tell you flat-out in some ways you are late. I'm not going to sugarcoat it. I think in some ways it's easier than ever to make real "life changing" money online selling information today. First, the tools have become incredibly cheap. To throw up a site and test out a market wouldn't be more than a few hundred dollars to do it right. I mean what other kind of business could you start with a few bucks that has the potential to do, literally, millions. Next, everyday more and more people (worldwide) are getting online and getting more comfortable making purchases on the Net. You can see several student case studies in this letter who just got started and now are banking 5, 6, even 7-figures online. QUESTION #2� - Okay so is this a good package for a newbie? I intentionally had the "Info Players" workshop material start off very basic and take you through baby-steps of how to come up with information product ideas, research the market, creating the product on so nothing is left out. Plus, I'm creating a few new bonuses designed to get you on the right track as fast as possible (including a 6-week game plan). This way you're getting a true shortcut and roadmap from someone who has truly "done it". 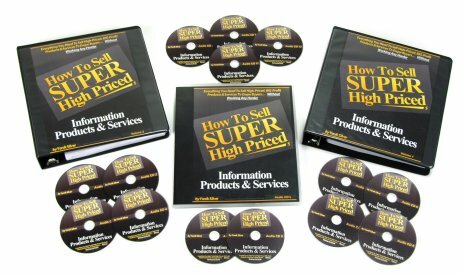 But then towards the end - the material does get pretty advanced.� And the 2nd set of recordings from the "How to sell high-priced information products" workshop is very advanced. Personally, I think this is an asset because you can quickly get up to speed with the basics of info marketing - but unless you understand the true profit potential of this business you can easily set it up the wrong way from the beginning. QUESTION #3 - What if I'm already an experienced & successful information marketer - is there really anything new I'll learn? Why? Because I'm always looking for one "little" idea or the little hinge that swings "big doors". In fact, I've found that the most successful people I know are always looking for that 'slight edge'. Instead of me answering this myself -- just go back and read through some of the case studies and updates from attendees at the "High-Priced" workshop like Bernadette and Craig who are already making significant multiples of their $10,000.00 tuition in less than 3 months. QUESTION #4 - This sounds like a lot of material -- would I get overwhelmed? A. Yes, there is a ton of stuff here. Remember, others paid $15,000.00 for this material so I made sure that it was totally comprehensive. However, I'm also known for making things simple. I'm not a technical guy so I keep it pretty basic. Here's what the legendary marketer, Dan Kennedy, penned about me in his foreword for my upcoming book -- "...Yanik is brilliant at simplifying the complex, which many people are not.� Their knowledge, great as it may be, is useless to you if they can't transfer it.� He can." QUESTION #4 - Can't I just learn all this stuff on my own from ebooks or forums or my next door neighbor? Why gamble with doing it yourself?� I can save you all the frustration and get you in "the black" right from the starting gate!� Plus, you'll learn skills that'll last you forever...from someone who's done it and is still doing it. QUESTION #5 - This seems pretty expensive? Okay seriously this is not the time for K-Mart prices when I'm giving away my entire arsenal of info marketing techniques & secrets. But on the other hand I'm not to gouge anyone either. I'm going to make it extremely affordable with an easy payment plan that's just a few hundred dollars to get started. Try getting an education for a few hundred dollars at any campus and they'll laugh out of the building. I don't know of any other business on this planet that allows me to wake-up in the morning and say, "Hmmm... I think I'd like to have a new car.� Let's see... that car I was looking at costs around $26,000 -- it's a nice sporty convertible.� I'll put out this promotion on the Internet -- and if all goes well, by the end of next week I'll be able to get that new roadster!" Heck... maybe you don't want a car, but you'd just like to get out of debt, get a new boat, pay for your kid's college, or whatever!... THIS BUSINESS ALLOWS YOU TO GENERATE UNREAL AMOUNTS OF ON-GOING INCOME ALMOST AT WILL! Okay if you still have questions -- you can contact us at www.surefiremarketing.com/support/ and we'll do our best to reply as soon as possible. Or open up a LIVE chat window when a team member is online.